Watermark Art Center (formerly Bemidji Community Art Center) and Paul Bunyan Communications present the opening of “Asiniig” with artist Duane Goodwin as a part of the February First Friday Art Walk. The Anishinaabe word for “stones” ~ Asiniig represents a collection of work by Goodwin featuring his stone sculpture along with paintings, beadwork and carvings from his personal collection. Join us for the opening reception on Friday, February 7th from 5pm to 7pm featuring an artist talk by Goodwin and special guest and artist, Carl Gawboy starting at 6pm. For more information about other First Friday Art Walk events and exhibits go to our First Friday page. I’ve been carving since 1971 when I first began working with native pipe stone. The year 1973 I started my first formal art education at the Institute of American Indian Arts. 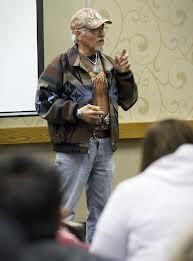 There I received training under the famous Allan Houser who later became my mentor and friend. It was then my sculptural interest evolved into a life dream of becoming an artist. Allan’s influence and teaching methods became a solid foundation in what would be a lifelong learning experience. Today much of what I teach and sculpt is based on Allan’s influence. 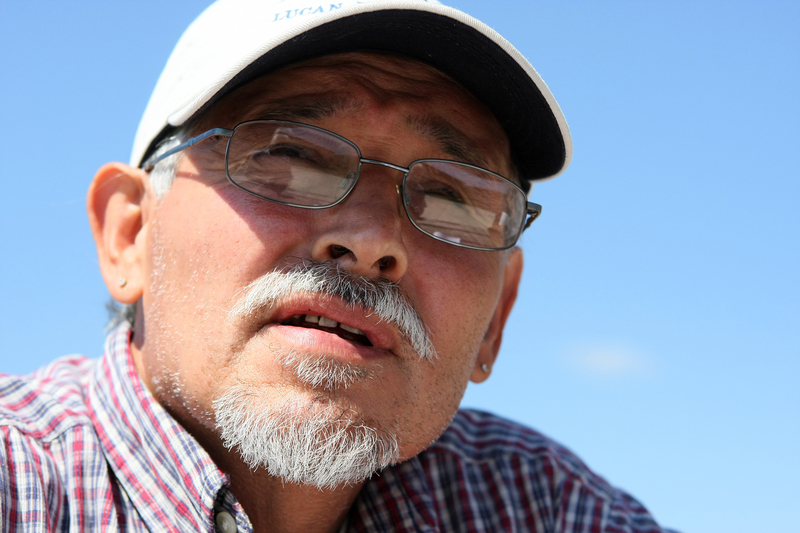 I employ the basic principles of what learned at IAIA to achieve aesthetic results in all my sculptures. I’m of indigenous origin, Anishinaabe and Lakota descent, and proudly recognize both cultures. My sculptures represent the strengths of both tribes. Working with a variety of choice rock from around the world inspires me to be selective with my subject. 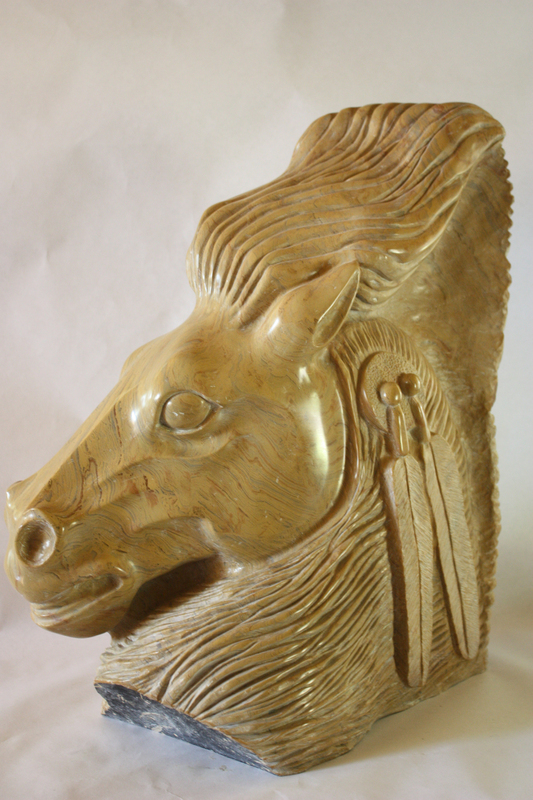 My favorite subjects are horses, buffalo, birds of prey and family orientated sculptures. My sculptures are moderate in size ranging from 50 pounds to 350 pounds but I’m always open to for larger commissions. Goodwin works on Sacred Bowl sculpture at 2006 Minnesota Rocks -International Sculpture Symposium. I’m very proud of the life size sculpture I carved for the 2006 Minnesota Rocks International Sculpture Symposium. The sculpture is proudly placed on the banks of Mississippi River overlooking the ancient Lakota burial grounds in Mounds Parks, St. Paul. Creating art needs to be nurtured with patience, it provides an outlet for thought and compassion. Creativity nourishes my soul with happiness and contentment, keeping my focused of what important my culture, family and artistic expression. My philosophy is empowering the spirit with beauty, vision and strength. These values are translated into my work, by capturing the elegance of an eagle or the beauty of the horse. 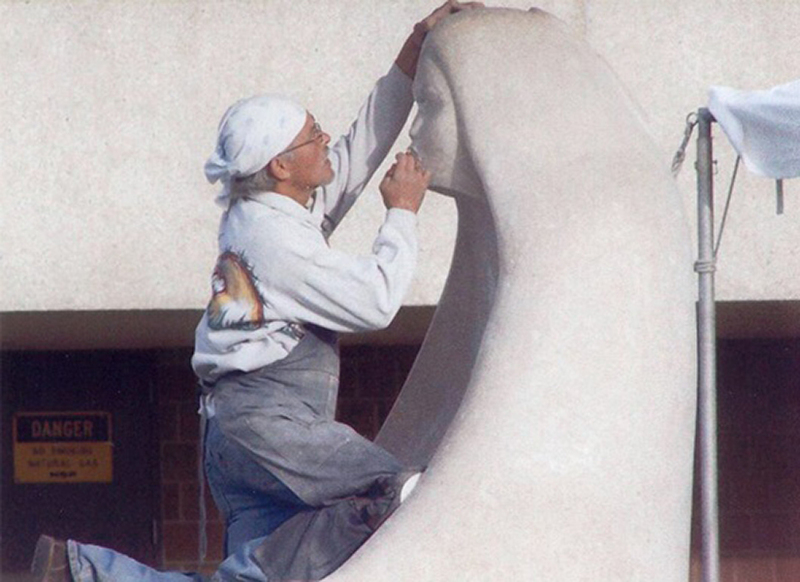 Legends of the Anishinaabe inspire me to create sculptures of vision and strength. My inspirations are also discovered in simple every day experience, my home, barn/studio and natural surrounds has been a great source. 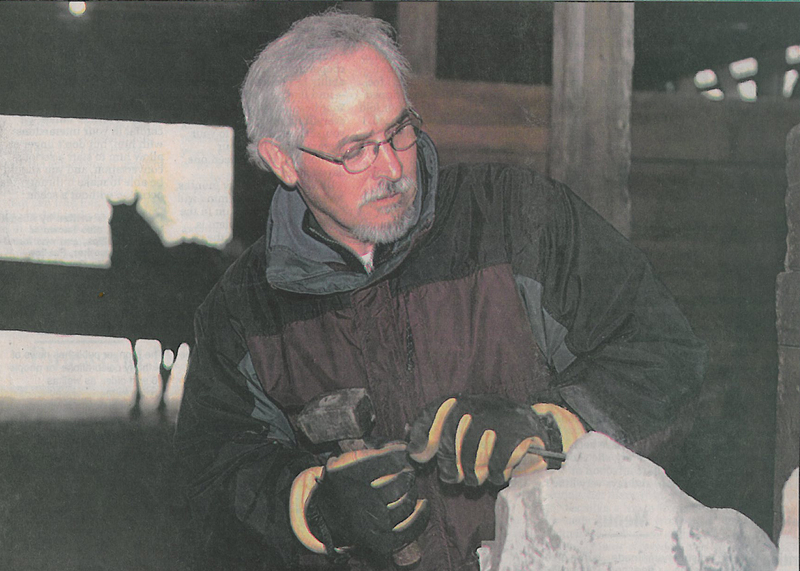 In 2006 I was selected as one of fourteen carvers to represent at the Minnesota Rocks! 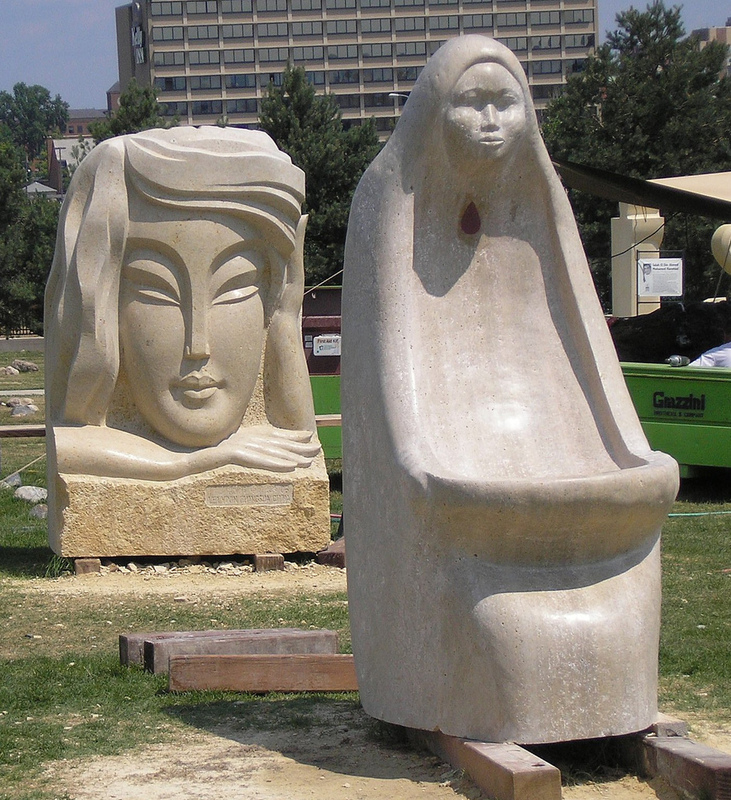 International Stone Carving Symposium where carvers from Minnesota, China, Italy, Japan, Germany, Egypt, Africa, Finland and Mexico would congregate. The magnitude of this experience was inspirational, living and working with master carvers for six weeks was a tremendous opportunity. The education was incredible learning foreign language, cultural values, creative process and carving techniques from the finest carvers in the world. My sculpture, “Sacred Bowl” created as a part of this symposium, was inspired by a site over looking the ancient Lakota burial grounds on the banks of Mississippi river in MoundsPark, St. Paul. My vision was creating a culturally appropriate monument blending into the landscape, a grandmother holding a offering bowl (sage holder) would evolve to capture the essence of time and beauty. Sacred Bowl looks onto Native American Burial Mounds on Bluff overlooking Mississippi River. Native limestone (Dolomite) well known for constructional qualities was determined by stone experts that it would be substantial for the harsh Minnesota climate. Winona Limestone company provided the best quality blocks inspected and cut by professionals at the quarry. 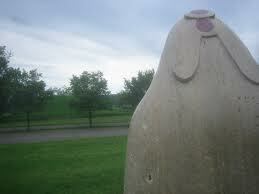 Several pieces of Pipestone were also used on the front and back of the sculpture. The installation and dedication would follow in October of 2006. Hear Duane talk about his work during an interview on KAXE/KBXE Northern Community Radio. He was interviewed by Maggie Montgomery and Robert Saxton on Wednesday, February 5th as a part of the upcoming First Friday Art Walk review for Bemidji and Grand Rapids.